Dr. Amar Singh Guleria (B. 1950) has served Agro-Economic Research Centre, Himachal Pradesh University, Shimla (1973-1977); Indian Institute of Management, Ahmadabad, IIMA (1978-1983); Department of Economics, Himachal Pradesh University, Shimla (1983-92); and Population Research Centre, Himachal Pradesh University, Shimla (1992-93). 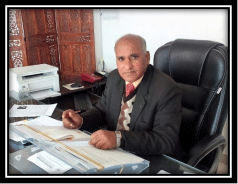 Till his retirement, Dr. Guleria worked as Professor and Head of the Economics Department at Himachal Pradesh University (CES), Shimla (1993-2010). Thereafter, he joint the Abhilashi Group of Institutions(AGI) and continued to be the Director of Abhilashi Institute of Management Studies (AIMS), Nerchowk, Mandi (2010-2014).He also worked as Director (TRAMIET) and Group Director of AGI in 2015.Professor Guleria was a founder Dean of Studies and Director Research of the Abhilashi University, Mandi (2014 -2017). Currently, Professor Guleria is the Vice-Chancellor of Abhilashi University, Chail-Chowk, Mandi (HP). Besides being Advisor and Consultant to the Central, State, and Foreign level institutions, Professor Guleria contributed in institutional & national building. He also undertook joint Project with University of Manitoba, Canada, Shastri Indo-Canadian Institute, Government of India ( Prof. John Sinclair, Natural Resources Institute, Manitoba).Professor Guleria also held various administrative positions such as Dean Students’ Welfare, Warden, Chief Warden, Associate Director (IIHS), and Director of various Centre and State Government sponsored Projects at Himachal Pradesh University, Shimla. He also worked as advisor to the Forest Development Corporation, and Energy Planning of Government of Himachal Pradesh. Further, he completed important assignments of the Planning Commission, Ministry of Environment & Forests, Energy Panning Program, JICA etc. He also remained member of the Academic Council of Punjabi University, Patiala, and Himachal Pradesh Technical University, Hamirpur. Professor Guleria is the founder General Secretary of HP Economic Association. He is also a member of the International Association Agricultural Economists (IAAE). Further, Dr. A.S. Guleria is the member of various Editorial Boards of reputed Journals. Professor Guleria is a author of six books entitled as Production, Consumption, and Trade of Forest Products in India (International Publishers and Distributors, Dehra Dun). Besides published chapters in several edited books of other authors, Dr. Guleria has also co-authored books as Tribal Unrest and Forestry Management in Bihar (IIMA); Some Economic and Management Aspects of a Non-Wood Forest Products in India: Tendu Leaves (Oxford & IBH); Non-Wood Forest Products in India: Economic Potentials (Oxford & IBH); Economic and Management Aspects of Sugar-beet Harvesting and Processing in India (Oxford & IBH); and Forestry Structure and Activities in India (IIMA). Professor Guleria has also published Several mimeographs, Teaching Cases at IIM, Ahmadabad, and over one hundred research papers in the national and international journals. He has successfully supervised number of M.Phil. and Ph.D. Theses on different areas of economics and resource management at the Himachal Pradesh University, Shimla. In Addition, Ph.D. Thesis entitled “Role of Financial Institutions in Bridging the Resource Gap during Pre and Post Reform Periods” has been successfully supervised in the Sai Nath University, Ranchi, Jharkhand in 2016. Professor Guleria made several presentations in the workshop, symposium, seminars, and conferences in India and abroad (USA, Japan and Myanmar). Higher education is considered as a vehicle of social, economic, political, cultural transformation and growth & development, Education which one receives after 12th standard in colleges, universities, institutes and deemed universities is higher education that includes diploma, undergraduate, postgraduate and doctoral degree study programmes. The 21st century is going to be the knowledge century and economic growth will be linked with human resources, development, gross enrollment ratio in higher education which is important indicator of development, In India It is (15%) as compared to USA (89%), Russia (76%), UK (59%) , France (55%), Malaysia (40%) and China (24%). Further, there is vast discrepancies in this regard amongst women, SC, ST, rural and urban populations. This is a challenge as well as opportunity to establish educational institutions especially in the private sector to provide and improve higher education system in India. The large population in the age group of 15-24 years in India is the prospective entrants in higher education. The number of institutions required to achieve GER 30 % or above in higher education has to be increased tremendously and government alone cannot achieve this task and thus the private sector has a big role to play. Universities which have adequate infrastructure for teaching and research, well qualified and innovative faculty, academic and industrial collaborations at national and global level will be in demand. Active dialogue among academia, industry, government and all stakeholders is inevitable to address the challenges in higher education and grab the opportunities to make our country a knowledge hub or power in the world. Abhilashi University is an attempt in this direction which was established in 2014 and dully approved by UGC. University is located In Himachal Pradesh with in North-west Himalayan region. Abhilashi University under its vision and mission attempt to educate and trend our students for a life time responsibilities and solutions of their socio-economic problems. The end product of education at Abhilashi university create and train human resource to protect the interest of man and nature we inspire and ignite mind of graduate , post graduate and scholar of eminence to fuel unprecedented growth & development to wipe out poverty, hunger, disease, unemployment , enormous pollutions and advance the frontiers of knowledge, shrink the boundaries of ignorance and ensure happiness all around. Therefore, to ensure better career and bright future with appropriate placement, I welcome the students and new entrants to Abhilashi University which offers over three dozen professional and technical courses under its various faculty and schools. My best wishes to students and parents for their choice and association with Abhilashi University.